This weekend saw mixed moves in terms of mortgage highs and lows. However, some of the non-movers come from credit unions, which undoubtedly offer better rates than banks. With a reported national average on 30-year fixed mortgage rate of 3.98%, SEFCU is among the few lending companies that took a dive in rates. And in terms of paying mortgages, less is better. What’s more, SEFCU is giving away a very special offer that’s sure to have you close a deal in no time. Currently, SEFCU is giving a special offer in home equity rates. This promo will allow the company to finance 70% of your home equity. It also features a low rate of 3.500% for a 10-year fixed period. This is applicable for a 50% Combined Loan to value home equity. A 50.01%-60% loan-to-value APR is 3.75%, while a 60.1%-70% gives an APR of 4.00%. These are applicable to a 10-year term only. This gives you up to $350,000 in loan, which you can pay off through payroll deduction, automatic transfer, or direct deposit. And whether you pay monthly or bi-weekly, early payments allow you to skimp on penalties. This special offer happens only once-in-a-lifetime so grab it while you can. After all, buying a new house is a once-in-a-lifetime decision you can’t compromise. Home improvement and home equity loans are just some of the services offered by SEFCU, but these are among the most sought after offers they have. This is mainly due to their competitive rates. For example, their 30-year fixed mortgage has an interest rate of 3.875% and an APR of 3.928%. Rates are most significant every quarter percent, allowing one to pay off less, but sometimes it doesn’t hurt to choose this lesser figure as well. A 15-year fixed rate from the same credit union has a rate of 3.250% and an APR of 3.343%. The national rate for this term is at 3.29%. If you go for adjustable rates, a one-year plan can offer you a rate of 4.125% and an APR of 3.253%, while a 5-year adjustable rate has a 3.500% rate and a 3.307% APR. 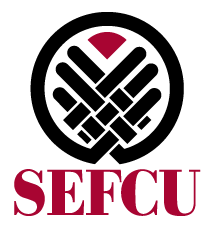 SEFCU has been around since the 1930’s, establishing its name in the lending business. Today, it has more than 40 branches across the state.